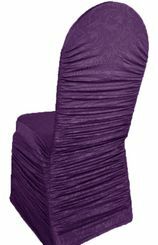 Ruffle Spandex Banquet Chair Covers, Stretch Chair CoverFree Shipping over $150 - US 48 Contiguous States! $9.98 Flat Rate Under $150 - US 48 Contiguous States! 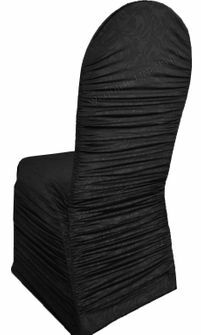 High quality brand new embossed spandex banquet chair cover, embossed ruffle spandex banquet chair cover. wedding spandex banquet chair covers are made from a four way stretch high quality Heavy duty Spandex material with beautiful embossed vintage patterns. Embossed ruffle rouge spandex banquet chair covers are perfect for your Wedding, parties, celebrations and all special events.